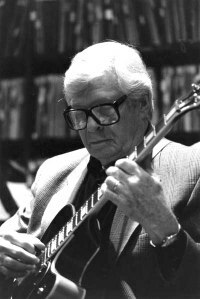 Mundell Lowe, an impeccable jazz guitarist, arranger and talent scout who recorded on many important East Coast jazz albums and introduced Bill Evans to Riverside producer Orrin Keepnews in the mid-1950s, died on December 2. He was 95. 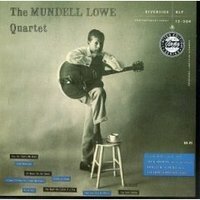 Few guitarists played with as many jazz greats as Mundell. 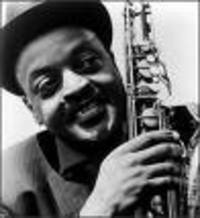 The list includes Charlie Parker, Lester Young, Billie Holiday, Carmen McRae, Mary Lou Williams and Ben Webster. 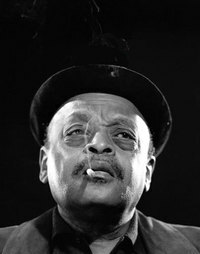 "Mundy," as he was known to friends, had one of the smoothest sounds in jazz. He also had a breezy sense of swing and keen ear for harmony and the guitar's role in enhancing a rhythm section. In addition to being one of the most sought-after session guitarists from the 1950s onward, Mundy was a fabulous arranger. You merely have to listen to his soundtrack for Satan in High Heels, the albums TV Action Jazz (parts 1 and 2), his Porgy & Bess album and The Greatness of Joe Mooney to appreciate his gorgeous taste and natural swing. Mundy could write for large bands and tight ensembles with equal verve. JazzWax: You grew up a country boy? 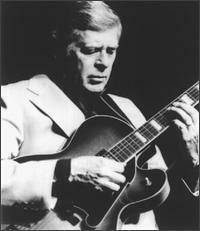 Mundell Lowe: Yes, I was born in 1922, in Laurel, Miss., which is about a two-hour drive north of New Orleans. I loved music and jazz from the time I could pick up a guitar. Farming wasn’t for me, so I dropped out of high school and ran away from home at age 16. I wanted to play music, and my dad wanted me to go to school. When I left home I headed up to Nashville, which was about six hours north of us. My dad came to get me, but I ran away again, to New Orleans, which was about two hours to the south. Parents back then—like parents today, I suppose—have no idea what their kids really want to do in life. In Laurel, running away from home was a shocking thing. There was no precedent for it. In our town, you grew up and went to work on a farm as soon as you could. No one left, let alone ran away. JW: In 1942, when you joined the Army, you had a career-changing encounter, didn’t you? ML: Before I shipped out to the Pacific, I was stationed in Camp Plauche, up the Mississippi River in a Louisiana town called Harahan. That’s where I met producer John Hammond, who also was stationed there. John threw jam sessions in the enlisted men’s club and liked my playing so much that he wrote articles about me. He said I should look him up when I got out of the service. So after I got out in 1945, I sent John a brief telegram: "Just discharged. Merry Christmas." 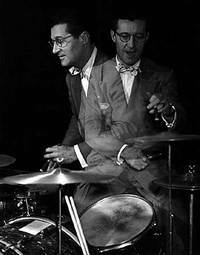 The next thing I knew, John found out where I was and had me meet Ray McKinley, the drummer who had his own big band. I joined Mack in early 1946 and made my first record with him in March of that year. JW: What did Ray McKinley teach you? ML: Ray taught me a simple lesson: Always believe in yourself. During World War II, I was in the South Pacific and the experience was miserable, as you can imagine. When I came back, I hadn’t played in some time and was musically insecure. Mack saw potential in my playing and became a father figure to me. Back then, I sure needed some fathering. 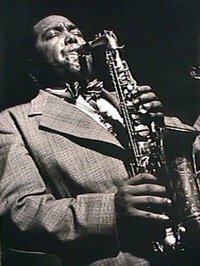 One night in 1946, Mack came over during an intermission, put his arm around my shoulder and said, "Play what you want to play, not what you think you should play." That was great advice. After that, I started choosing chords and notes based on what I felt in my gut, without worrying about convention. I was with Mack off and on through the 1950s. JW: Who taught you the most about music? ML: Eddie Sauter, the arranger [pictured at top, left]. He was writing for Ray McKinley’s band when I joined. Eddie could hear things no one else could. Once, when I played down one of Eddie’s guitar parts, I told him it sounded like there were some wrong notes. Eddie said not to worry and to wait until I heard the recording back. So I learned the part, recorded it, and when the track was played back he was right. It sounded beautiful. 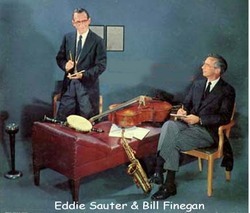 Later on, in 1951, I was in the Sauter-Finegan Orchestra. Hanging around with both Eddie and Bill Finegan was amazing. As arrangers, those guys were in their own league. Both of them had done a lot of studying. 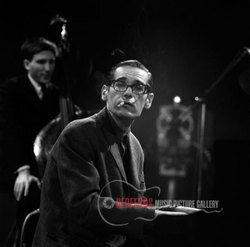 Bill had gone over to Paris when he was writing for Tommy Dorsey in the late 1940s and studied with Nadia Boulanger, the French composer and teacher. I learned about arranging by listened to Sauter-Finegan orchestrations and by borrowing the scores and reading them down in my hotel room. They were tough to read at first, because both arrangers transposed all the parts on the score. It was like reading a book where each sentence is in a different foreign language. For example, an alto sax is an E-flat instrument. When you’re writing for an alto sax, you have to transpose notes up a major sixth so that what the alto saxophonist sees and plays will come out in the key everyone else is playing. Different transpositions have to be made for different instruments. When you see notes and keys all over the place, a score is tough to read and hear in your mind. I worked hard to read their charts until I could see a transposed note and hear in my head exactly what the instrument would play. On the whole, I learned from Eddie how to write for brass, and Bill taught me how to write for woodwinds and reeds. I had both areas covered with those guys." JW: What was it like playing behind Billie Holiday? ML: I first recorded with Billie when I was part of pianist Bobby Tucker’s quartet in 1948. I also recorded with Billie in 1949, with Buster Harding’s Orchestra, which included Lester Young. I first met her in 1948 when I was playing at Café Society in New York's Greenwich Village with George Duvivier on bass and Bill Clark on drums. Billie came in wearing a big mink coat, and as we were talking a little head pushed out of her coat pocket and looked up at me. It was her Chihuahua. She took that dog everywhere. 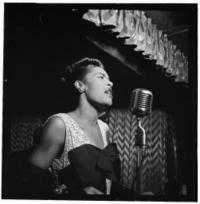 The biggest kick I had with Billie was playing behind her for about 10 days in April 1948 during Holiday on Broadway. This was a small, little-known revue at the Mansfield Theater in New York. Billie would sing about a dozen songs and then showcase a bunch of groups, including the Bobby Tucker Quintet, which featured Bobby on piano, me on guitar, Tony Scott on clarinet, John Levy on bass and Denzil Best on drums. The show had a short run—about 10 days, I think—because the theater reviewers came in and couldn’t figure out what we were doing. Playing with Billie was like playing behind God. She had such innate talent and knew how to control it. There’s an art to that. For most artists at her level, that gift dates back to earlier days, when they had a terrible time and learned how to communicate with their audiences through their voice or horn. 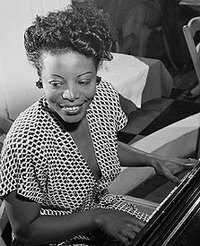 JW: In 1949 you gigged and recorded with pianist Mary Lou Williams. Was she tough? ML: Not at all. Mary Lou was a bop pianist but liked her music clear, clean and melodic. She was a wonderful lady. When I started playing with her, the trio was Mary Lou on piano, me on guitar and Beverly Peer on bass, who would eventually play with Bobby Short in the 1960s and 1970s. 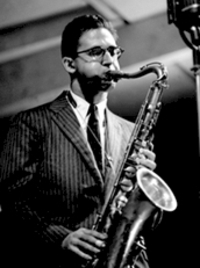 One night in 1949 we were working at the Village Vanguard when a tall lanky kid came in with a sax in a grocery bag. He went over to Max Gordon who was napping on one of the seats during our set. The kid asked Max if he could sit in with us. Max told him it’s Mary Lou’s group and that he’d have to ask her. So at intermission the kid asked Mary Lou if he could play with us. She said sure, that the trio would play a few tunes first and then she’d call him up to the bandstand. When we started again, after a few numbers, she called him up, and we started to play a standard. The kid starts playing 1,000 notes for every beat. Mary Lou stopped playing in the middle of the song and closed the piano. "That's it," she said. "The set is over." She wasn’t into running scales. She liked ideas and the music to be straightforward. That saxophonist was John Coltrane. He had just arrived in New York. I think he recovered just fine from that night. JW: You're the guitarist on Johnnie Ray's Cry, a #1 pop hit in late 1951. A big change from the jazz greats you were playing with at the time? ML: It was just another gig. It's funny, I recorded quite a bit in the early 1950s with Johnnie Ray but I can’t remember specifically what happened on that Cry session. Probably not much. Pop recordings lasted about three hours—two or three takes max per song. I was called to play on so many pop dates. 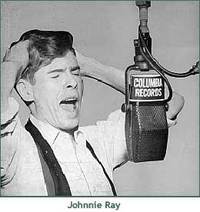 Johnnie Ray’s singing style is mocked today as being overly emotional, and Cry certainly sounds heavy by today's standards. But it was a huge hit at the time. Also, many people aren't aware of the jazz musicians who were on some of those Johnnie Ray dates. Musicians included me, Lucky Thompson on tenor, Ed Safranski on bass, Ed Shaughnessy on drums and Stan Freeman on piano. There were no arrangements. We just had a bunch of chord changes written out and made everything else up as we went along. The last recording I made with Johnnie Ray was around 1953, at New York's Great Northern Hotel on 59th St. They cleared out a lot of stuff in one of the ballrooms and made a recording studio out of it. But halfway through the session, Ray fell down and started convulsing. Not many people knew he had epilepsy. Shortly after that incident his agent moved him out to California to work in the movies. JW: The following year you were playing with Charlie Parker. A big change, yes? ML: Oh my, yes. My phone rang on a Tuesday—I remember it was a Tuesday. When I picked up the receiver, the voice at the other end said, "Mundy? This is Bird. I’m looking for a guitar player. Are you available on Friday?" I was shocked. Bird went on, saying he was playing a concert up at the Rockland Palace Dance Hall in Harlem. I told him I’d make the date, he said great, and we hung up. The next three days were the longest in my life. I got the sweats. 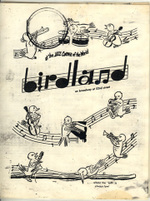 I had played with Bird in 1950, at Café Society with Tony Scott and others. But this was going to be a long concert with a large audience and major sidemen. When I arrived at the dance hall that Friday, Bird had strings and an oboe behind him. But he had only eight or nine orchestral arrangements. He needed a small group to fill out the concert time on other numbers. 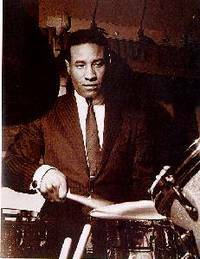 That group was Walter Bishop, Jr. on piano, Teddy Kotick on bass, Max Roach (pictured) on drums and me on guitar. I must confess I was scared to death. I knew I had to show Bird the best I could play. The first song we played—Ornithology or Don't Blame Me, I can't recall—Bird ran through a couple of choruses and motioned for me to step forward and play a solo. After I played, I started backing up. But Bird waved me to go on, and I played four or five more choruses. Bird wanted to see what I could do. When I was done, he smiled wide, exposing that gold tooth. When you saw that tooth, you knew Bird was real happy. After the concert, Bird and I remained good friends. I lived with clarinetist Tony Scott (pictured) at the time above the Café Society in Sheridan Square. Bird used to come down and hang out with Tony and me. We never talked about music. He always wanted to talk about books or chemistry or something else he was curious about. He was a great guy. JW: You are credited with discovering Bill Evans. How did that happen? ML: I first met Bill when I got out of the Army after World War II. I was in New Orleans and he was at Southeastern Louisiana University. My brother-in-law took me over to hear him. I loved Bill’s sound right away. When we met, I told him that when he graduated, he had to come to New York and that we’d gig. JW: Did he take you up on your offer? 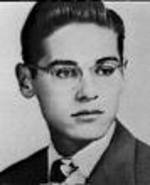 ML: Sure enough, as soon as he graduated in 1950 he called. I put together a trio—me, Bill and Red Mitchell on bass. We never recorded, though. Producers at the time weren’t interested. Can you imagine? I did record something Bill played for me on my little Webcore machine, which recorded onto a wire. Our trio played a couple of gigs in New York and then went on the road to Illinois. We sounded great, but our management agency kept booking us into beer joints and places like that. JW: It's hard to imagine Evans, his head bent over the keyboard, in a dive in the middle of nowhere. ML: I know. What's worse, the people who were in those places couldn’t have cared less about what we were playing. For them, we were just there for background music while they got loaded and geared up for fights. One bar even had chicken wire around the stage and up to the ceiling so we wouldn’t get hit by flying beer bottles. It was like playing in a chicken coop. That was definitely weird. JW: Why didn't the trio work out? ML: When we returned to New York we couldn’t get work. We had to disband. Red joined Woody Herman. Bill went down to his mother’s place in Florida. And I picked up gigs and session work with Billy Taylor, Benny Goodman and Louis Prima. JW: You were the one who told Riverside Records' producer Orrin Keepnews about Bill? The rest, as they say, is history. 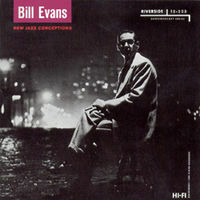 Bill’s first album as a leader, New Jazz Conceptions, came out in late 1956. Up until that point, Bill had been a sideman and wasn't thought of as a leader by producers yet. 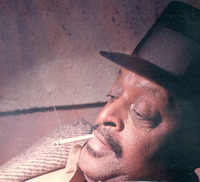 JW: You recorded with Ben Webster in the late 1950s. Big temper? ML: Not with me. I recorded with Ben on his date, The Soul of Ben Webster for Verve, and he recorded with me on my date, Porgy & Bess: Mundell Lowe and His Orchestra for Camden. Both were done in July 1958. Ben was fantastic. People said he had trouble getting along with others, but we liked each other very much. We used to hang out all the time, and Ben would play the most amazing stride piano for me. JW: But he could be plenty tough, yes? JW: Yet he was such a tender player. ML: Sure—and as a person, deep down. When Ben moved to Copenhagen in 1964, he used to call me every few months at four or five in the morning. He didn’t understand the time-difference thing. He’d be juiced and crying. He'd tell me how much he wanted to come home and how much he missed it here. I told him to come on home. There was plenty of work. But he'd say no, that he couldn’t leave. That he was plenty busy. But so lonesome for home. It was so sad. Those calls would break my heart. He just had a better life over there and knew it. But he still had such nostalgia for his life here. JW: Was there cutthroat competition among jazz guitarists back in the 1950s? ML: Goodness, there were so many great players. 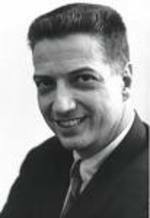 You had Tal Farlow, Chuck Wayne, Barry Galbraith, Billy Bauer, Sal Salvador, Kenny Burrell, Barney Kessel, Jim Hall and on and on. But we were all friendly. There was plenty of work to go around. ML: If you walked into a club where another guitarist was playing, he'd motion you to come up and play. And you did. It wasn’t like it was later, when the opportunities dried up and jazz musicians were cutting each other’s throats for work. At that point, musicians suspected you were showing up just to take their gig away. It's hard to believe today, but everyone got along. It was a tight club, and we helped each other. JW: Your score for Satan in High Heels remains one of the great movie soundtracks. How did your involvement come about? ML: That was the first film I ever scored. The producer, Leonard Burton, called me up in 1962 and said he had made this skin flick, which by today’s standards I guess is pretty tame. He said he heard some music I wrote for the NBC Orchestra and that this film might be my cup of tea. So I had a meeting in New York and ironed out the business end. Then we set up the dates. The film editor started putting film together and called me to spot the film and reels—which means to figure out where the music is going to go. JW: What did you think when you saw the film? ML: To tell you the truth, I didn’t know what to think. It was pretty trashy. But I wanted to write for film and this one was as good as any to try out new things, musically. As I started to live with the film, the music I wanted to write came into focus. I decided I would do a jazz score, and the arrangements I created turned out to fit the film perfectly. JW: You brought in some amazing talent for the date. ML: I got the best guys I could find—Joe Newman, Doc Severinsen, Clark Terry, Urbie Green, Al Cohn [pictured] and others. It was an all-star group. Hey, they had to pay rent, too! JW: What's it like to score a film? ML: It's tricky business. It took me about three weeks to spot the film and write the score. Then the guys came in, we put the parts up on the stands and had to record so each song lasted a specific amount of time—not a second over or under. But hitting the clock just right takes time, even for pros. You need to work out the tempos and then finish each piece of music at exactly the right moment in the film. There's no room for error. JW: What was your biggest obstacle? ML: Musician fatigue. By the time I scored the film, I knew from writing for commercials that trying to complete pieces of music according to a time sheet saps the concentration of musicians pretty quickly—no matter who the artist is. Too many takes to finish on the dot causes musicians to start screwing up. So I decided to create breaks in extended pieces of music by overlapping the cues. A cue is a fancy movie term for the music you’re recording for a scene. So if I had a cue that ran 4 ½ minutes, I’d break it into three segments and write an overlap between the second and third segments. ML: OK, if I had three separate segments that made up a 4 ½ -minute piece of music, I'd write an easy-going chord, like a C-7, at the end of each segment. ML: At the end of the first cue, a sax, say, would run down the C-7 chord. Then we'd take a break. When we returned, the sax would then start the next segment by running down the same chord. This would allow the segments to be spliced together later seamlessly—without the music sounding chopped up or low-energy. JW: Very cool. How did you figure that out? ML: It's a trick I read in a great book on scoring for film by arranger Russ Garcia. 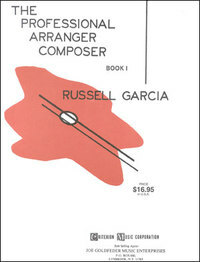 The book is called The Professional Arranger Composer. I read it a couple of times and understood all the techniques I needed to score a film. 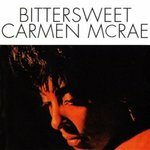 JW: You first recorded with Carmen McRae in 1954. She loved your pretty sound. ML: We recorded and played together for years. After we recorded Bittersweet in May 1964, she said she was going to use me on guitar for all her dates. She had originally hired another big-name guitarist to play on Bittersweet. But he didn’t understand what Carmen was up to, so I got called in to replace him. JW: Is being an accompanist tough? ML: Not if you remember one rule. My philosophy has always been that when you’re playing with a singer or a sax, they are the feature. Period. You are supporting them. The minute you try to override them, you lose. JW: You played behind so many singers. Which one had the quickest temper? ML: Carmen. She was a very talented lady but she had bad management. Back in those days, agents had a lot of control. Carmen didn’t have enough strength and pull to take care of herself. When things got away from her, as they often did, she could become pretty tough. JW: You left New York for good in 1965. Why? ML: I began to see the handwriting on the wall. The business was going down. I had been at NBC for 13 years as a staff musician and they were getting antsy about retaining staff. Rock was coming in strong, and all the money was being diverted to promote it. In early December 1965, my family went out to Los Angeles to spend the holiday season with Ed Shaughnessy’s family. When I flew out to join them, I ran into Jackie “Skippy” Cooper (pictured)—you know, the child actor. 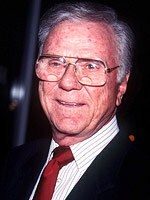 By then he had become a big TV director for Screen Gems. Jackie said he had heard some music I had written and asked me to move out to Hollywood and score for television. I asked my wife at the time what she thought. She said let’s do it. So we went back to New York, I packed up everything, put my family on a plane, and a week after Christmas 1965 we were living in California. I also went to work for Columbia Pictures and wrote for the movies. JW: Was rock a factor in your decision? ML: Rock was just something that producers dreamed up to make money. It had nothing to do with art. I’m glad I made the move out to California and avoided the whole rock scene. Rather than sell out, I was able to do what I wanted to do—and sleep at night. 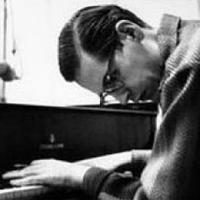 JW: Bill Evans' Waltz for Debby—who was it written for? ML: It was written for two Debbys—my daughter and Bill's niece. Both were named Debby. My Debby was 3 years old when Bill played in my trio with Red Mitchell in the early 1950s. He liked her very much. The tune was a melody Bill had been fooling around with since college. It was a foregone conclusion that he wrote the song with both of Debbys in mind. JazzWax note: Mundy is survived by his wife, singer Betty Bennett. I interviewed Betty in 2011. Go here.